It's been quite a year so far. We've been swimming upstream against retrograde planets since the December solstice and we're quickly approaching the next solstice -- with Mercury still retrograde. The cardinal grand cross associated with Mars retrograde has rearranged many people's lives, raised deep questions and has influenced every aspect of living. The 'box' of the grand cross is open and you've been set free of those influences. You know you're in a different place compared to where you were six months ago, yet you may be wondering whether you're actually any closer to your goals or to working out unresolved situations. Now would be an excellent time to check in with your astrology. Back in January I published The Mars Effect, with forecasts for each of the 12 signs and rising signs, which looked carefully at the astrology of this year. You may have missed those readings at the time they came out, though you can still take advantage of them and they contain vital information for you at this time. Right now, I'm offering all twelve of my Mars Effect annual readings for only $39 (half-off the already low members' price). 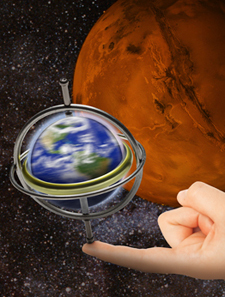 The Mars Effect readings come in written and spoken-word format, each giving different approaches to the astrology. The readings are presented in plain English, using astrological language when necessary and explaining all of my terms clearly. 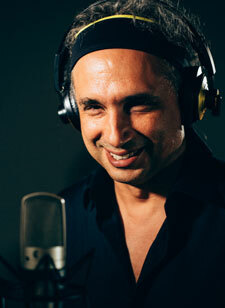 They are beautifully illustrated and recorded in studio-quality audio. You may download them to any audio player or portable device, or listen as many times as you want. My job as an astrologer is to provide you with the most creative approach I can bring in, offering you ideas to turn this surge of energy into something creative, loving and productive. This is not about prediction -- my readings are about using astrology as a visioning tool. I provide ideas you can build on and learn with rather than endpoints of their own. My goal is to help you weave the story you want for yourself, and to offer you ideas to find your own way. You may purchase online or order by phone, by calling Chelsea at (877) 453-8265 or (206) 567-4455. If she doesn't pick up she will call you back promptly. It's a privilege and an honor to be your astrologer, and I am grateful for your trust, your confidence and your continued business.